Beginning April 1, 2019, you will see a NEW Stormwater Fee as a line item on your existing Sewer and/or Refuse bill from the Township, or you will begin to receive a Stormwater bill from the Township if you are currently not served by public sewer or refuse. This is a quarterly fee that is being assessed on all properties in Lower Allen Township. Residential, including vacant properties, will be billed a flat $19.00 fee per quarter. Non-residential and multifamily units will be billed based upon the area of impervious coverage on the property. The dedicated source of funding generated by the Stormwater Management Program Fee provides the resources to address the Environmental Protection Agency (EPA) and the Pennsylvania Department of Environmental Protection (PADEP) mandated Municipal Separate Storm Sewer System (MS4) compliance requirements. The Township’s Chesapeake Bay Pollution Reduction Plan (PRP) was approved by PADEP in December of 2018. Township staff is currently working on implementation of that plan, which includes the conversion of 10 detention basins into bioretention facilities within a five-year period. In addition to the PRP implementation, the Operation and Maintenance of our Stormwater System is a significant portion of the Stormwater Program. If you received your stormwater bill and think there might be an error, you should complete a Stormwater Appeal Form and submit it to Rebecca Davis, MS4 Coordinator, at rdavis@latwp.org. 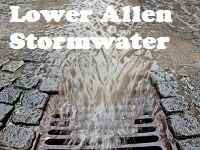 To file an appeal, go to the Lower Allen Township website, www.latwp.org, and click on the Lower Allen Stormwater Icon. A link to a form fillable appeal form will be at the bottom of the page. Forms are also available at the Township office. Updates on the Stormwater Program will be placed on the Township website (www.latwp.org) and in future issues of the Township News. If you have any questions regarding the fee, or Stormwater Program, please contact Rebecca Davis, MS4 Coordinator, @ rdavis@latwp.org, or 717-975-7575 ext. 1010. The Lower Allen Township Board of Commissioners heard a presentation from Arcadis, the Township’s consultant, regarding the Stormwater Fee and Feasibility Study at their regular meeting on October 8, 2018. Recommendations regarding the Stormwater rate structure were discussed with the Commissioners as well as the Stormwater Management Program scope and budget. The 5-year Stormwater Program budget is projected to be approximately 1.2 million dollars per year. Most of the money in the budget is allocated to the EPA and PADEP federally-mandated Municipal Separate Storm Sewer System (MS4) Compliance requirements. Additional budgeted funds will be spent on stormwater infrastructure maintenance, inspection and replacement as required. The following rate structure was presented to the Commissioners: Residential properties, including vacant properties, will be billed a flat fee. Non-residential and multifamily units will be billed based upon the impervious area on the property. An Equivalent Residential Unit (ERU) was calculated to equal 3,115 SF. This number was based upon a digitized study of buildings, sidewalks, and driveways in the Township. To determine the fee per ERU, the total number of ERUs in the Township was calculated and this number was divided by the Stormwater Program costs. The quarterly stormwater fee for Lower Allen Township properties was presented to the Commissioners as $19 per ERU. At the conclusion of the presentation by Arcadis, the Commissioners voted unanimously to advertise an ordinance authorizing the Stormwater Fee. Ordinance 2018-10 was enacted by the Board of Commissioners on October 22, 2018, authorizing LATSA to enact and collect stormwater fees and to provide a system for collection of the fees for payment to Lower Allen Township to maintain stormwater facilities and fund other stormwater related expenditures. At their November 1, 2018 regular meeting, LATSA unanimously approved Resolution 2018-A-01, enacting the Stormwater Fee rate of $19.00/ERU to be billed quarterly. A Stormwater Credit and Appeals Policy is being drafted currently and will be reviewed and discussed by the LATSA board at their monthly meetings. The initial quarterly Stormwater Fee bills are projected to mailed in April 2019. If you currently receive a refuse and/or sewer bill, you will see this charge as a separate line item on your bill. If you do not receive a refuse and/or sewer bill, you will now receive a stormwater fee bill from the Township. Updates on the Stormwater Program and information about the Stormwater Authority will be placed on the Township website (www.latwp.org) and in future issues of the Township News. If you have any questions regarding the fee, stormwater program or the Stormwater Authority, please contact Rebecca Davis, MS4 Coordinator, @ rdavis@latwp.org. or 717-975-7575 ext. 1010. 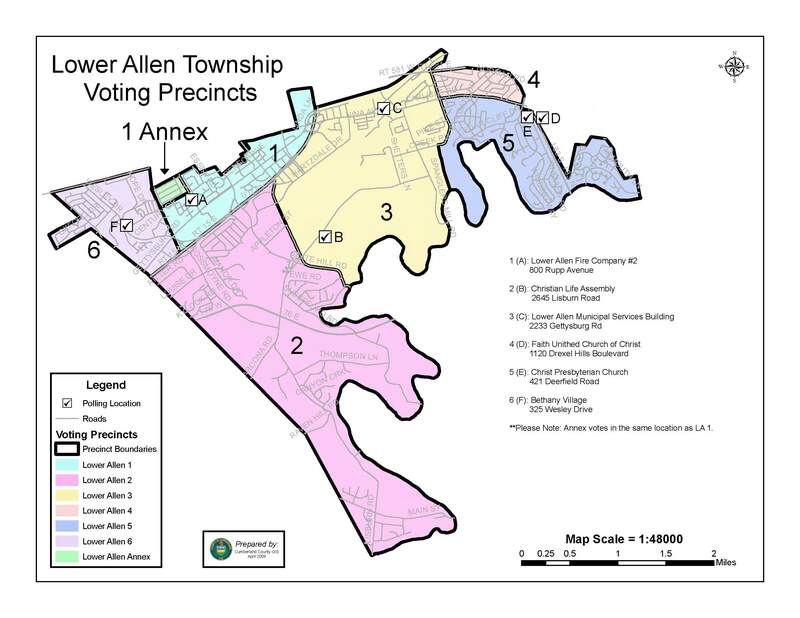 Click Here to view Lower Allen Township’s MS4 Page.